Truth and Reconciliation Commission faces several problems. 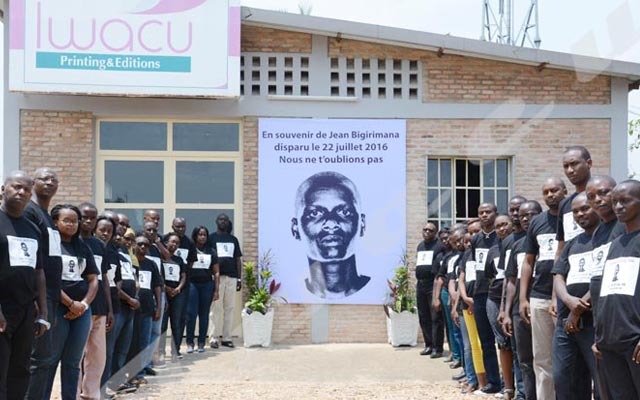 During a media synergy on the achievements of the Truth and Reconciliation Commission (TRC) three years after its establishment, Bishop Jean Louis Nahimana, its chairman has recognised this Tuesday that the commission faces several challenges. The National Commission for the Truth and Reconciliation was created in December 2014 with a four-year term. It began operating under difficult conditions. It was created in the run-up to the elections what handicapped its activities. “It was not easy to reconcile the TRC activities with elections,” says Bishop Jean Louis Nahimana, Chairman of the commission. Another problem is that the commission has got a heavy agenda whereas it was only given four years. For Aloys Batungwanayo, Chairperson of the Association for the Memory and Protection of Humanity against International Crimes- AMEPCI-Gira Ubuntu, the commission needs additional time so that every witness should give their testimonies. “There are people who still feel sorrow as they haven’t yet got the opportunity to air their grievances. I think everyone should have a chance to say what they witnessed. However, this is not possible as the time given is short,” says Batungwanayo. Gélase Ndabirabe, an MP, says the commission should take its time so that it gives a full and credible work. “The TRC needs to find out strategies to expose the truth on past events. If additional time proves necessary, it is up to the commission to ask for it”, says Ndabirabe. Batungwanayo calls for an effective communication. “There are many people who do not know about the TRC. Even its achievements are not known by the population. The commission should improve its communication”, he says. Despite the challenges that the commission is faced with, its chairman says he is satisfied with its achievements. “The TRC has already conducted investigations in nine provinces and there are nine more left. More than 2,500 mass graves have been identified in six of them”, says Bishop Jean Louis Nahimana. The commission started with a team of eleven commissioners but it only remains with eight. This also constitutes a handicap to TRC works.